"Opera Naples announces the appointment of Maestro Ramón Tebar as music director, effective immediately. He also serves as music director of the Florida Grand Opera, artistic director of the Palm Beach Symphony and music director of the Dominican Republic’s biannual Santo Domingo Festival. When he was named to his position with the Florida Grand Opera in 2011, he became the first Spanish conductor appointed to an American opera company. Mr. Tebar began working as a pianist and assistant conductor in his hometown of Valencia in Spain when he was 15 years old. He went on to become assistant conductor with the Joven Orquesta Nacional de España, while at the same time graduating with honors in piano and chamber music. Since his arrival in the U.S. in 2005, he has been part of the musical staff of Palm Beach Opera and Cincinnati Opera, producing more than 40 different operas, while maintaining a full schedule in Europe, the Caribbean and South America. 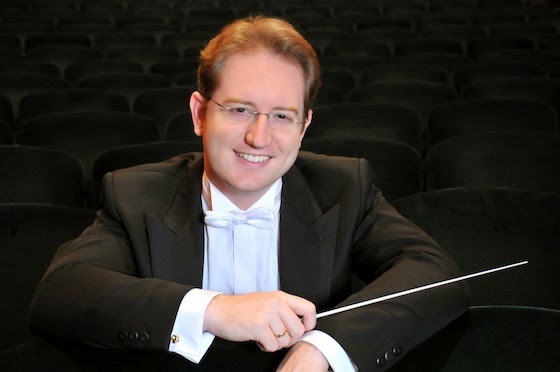 He has served as a guest conductor for organizations including Italy’s Orchestra Teatro Regio di Torino and the Spoleto Festival Orchestra, Spain’s Festival de Opera de a Coruna, Germany’s Kolner Philharmonie, the Netherlands’ Het Concertgebouw, Russia’s St. Petersburg Symphony and Orchestra de Rouen Haute- Normandie, to name a few. He has conducted many internationally renowned artists, including tenor Ben Heppner, violinist Joshua Bell, soprano Maria Guleghina and cellist Gautier Capuçon. In addition, he remains in collaboration with many of the world’s most famous vocal artists — among them Montserrat Caballé, Angela Gheorghiu, Roberto Alagna and Joseph Calleja, performing with them from Buenos Aires to Amsterdam, San Juan to Moscow. Orchestral conducting occupies a good part of his annual activities in his native Spain as well as the Netherlands. He will make his Vienna State Opera debut in Rossini’s Il Barbiere di Siviglia in winter 2016. Mr. Tebar currently lives with his family in Miami." [Source] For more information about the conductor, click here.